Mark your calendar for March 5, 2016 — and get your tickets ASAP! 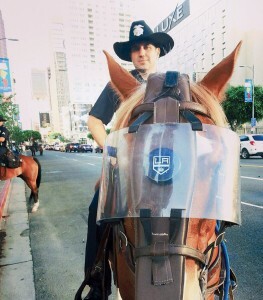 For the first time, the LAPRF has acquired discounted tickets to an L.A. Kings hockey game, to raise funds for the LAPD Reserve Corps. 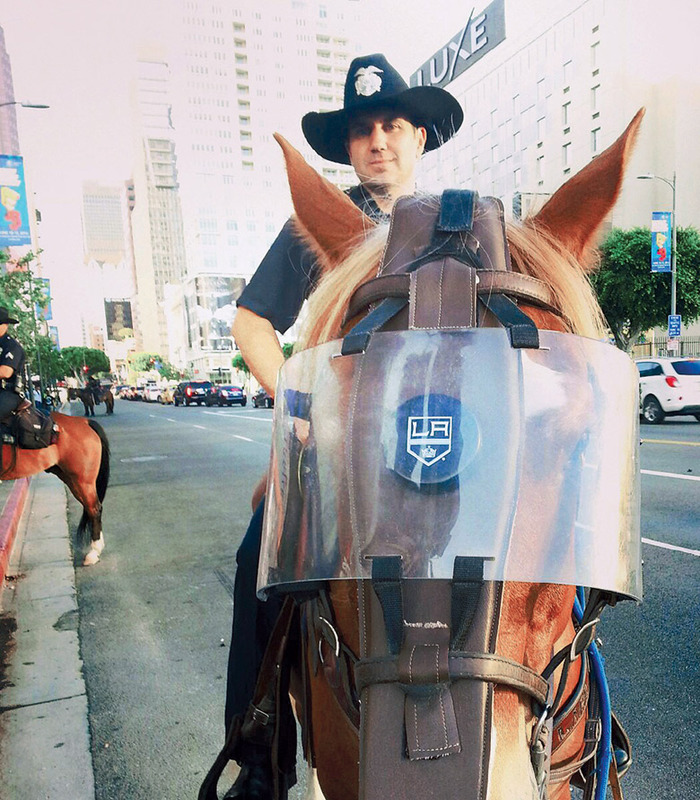 The LAPRF acquired approximately 100 tickets for the popular crosstown rivalry game against the Anaheim Ducks on Saturday, March 5, 2016, at 1 p.m. at the Staples Center. The discounted tickets will first be offered to members of the Reserve Corps, then opened up to the entire Department and finally to the general public, all on a first-come, first-served basis. LAPRF Co-President Karla Ahmanson worked with the Los Angeles Kings Hockey Club to bring this fun — and fundraising — event to the Corps. During the game, the LAPD will also have a reserve recruiting booth on the concourse. All the tickets are in the same general area; however, some are more premium seats. There are 12 Level 100 tickets for $162 per ticket, and 85 Level 200 tickets for $137 each ($28 off face value). To purchase your tickets before they’re gone, contact Paul Favero at p_favero@msn.com.